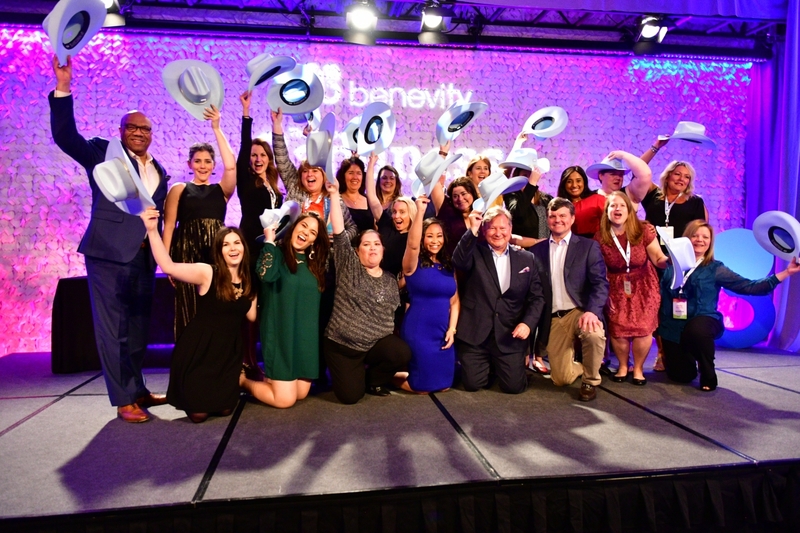 PALM SPRINGS, Calif., February 28, 2019 /3BL Media/ – Benevity, Inc., the global leader in corporate social responsibility (CSR) and employee engagement software, today announced the winners of its 2019 Corporate Goodness Awards. “The Goodies” were presented last night at Benevity's Annual Goodness Matters client conference in Palm Springs and recognize progressive companies who are leading the social impact space with innovative, inclusive approaches to community investment and employee engagement in giving, volunteering, activism and positive actions. Micron Technology - The NewB Award for most transformative new approach to their employee engagement program, which saw the company achieve 130,000 volunteer hours and $2 million dollars in company matching funds in just one year. This was done through a seamless online experience for 34,000 employees across nine countries. TransCanada - The Moonshot Award for boldness and creativity. During TransCanada’s “Get Empowered” campaign, their people come up with unique and personal ways to do good—like a razor drive for a homeless shelter, a Battle of the Bands competition for charity and taking part in small acts of kindness. Last year, Get Empowered generated $1.3M in donations and more than 12,000 volunteer hours in a single month. MUFG Union Bank - The Community Hero Award for best-in-class approach to driving social impact. In 2018, Union Bank launched the Versaic by Benevity grants management system to streamline their grantmaking process. They have successfully integrated employees into their process with each grant application matched to a local employee “sponsor” who is empowered to review, provide feedback and, if approved, share the good news with the recipient organization. LinkedIn - The People Power Award for promoting purpose through their people’s passions. With 13,000 employees in 15 countries, LinkedIn gives their people full trust and freedom to publish user-generated opportunities for their colleagues, friends and family to participate in. In their first 2.5 months with Benevity, their employees created, promoted and shared more than 100 giving opportunities across 6 countries—a grassroots approach that the company is now replicating with their volunteering program, as well. Lush - The BeCause Award for dedication to the social landscape. Through their Charitable Giving and Ethical Campaigns, Lush supports communities, protects the environment and ensures the rights of animals. Their public-facing campaigns tackle issues ranging from banning microbeads and the trophy hunting of grizzly bears to marriage equality and transgender rights. They involve employees as citizen activists, spreading Goodness in their shops to customers, and have donated more than $36 million to 2,600 grassroots organizations in 47 countries since 2007. Accenture Canada - The Bestie Award for best-in-class approach and overall social impact. Accenture Canada’s Making a Difference program provides flexible ways for all of their people (including contractors and offsite workers) to get involved—and grew participation by an incredible 456% within a year of launching! Last year alone, their Skills To Succeed volunteer initiative saw 2,200 employee volunteers help at-risk women, people with disabilities, indigenous people, young adults, newcomers to Canada and others develop the skills needed to secure jobs in a digital economy. Jennifer Mitchell, Senior Manager, Employee Engagagement at PlayStation and Tiana Austrel, Associate Corporate Citizenship Specialist at Illumina - The BUFFY Award for leadership, innovation and impact in administrating Goodness programs and leveraging Benevity’s software for maximum impact. Jennifer is a spirited person who works tirelessly to make her corporate Goodness program, PlayStation Cares, the best it can be. In her first six months with Benevity, Jennifer ran several innovative initiatives including a holiday campaign where employees who donated physical retail or restaurant gift cards to charities received rewards in the same value that they could donate to the charity of their choice. She also engaged PlayStation people in friendraising for children’s hospitals near their offices in San Francisco and Sorrento Valley—exceeding the donation volume goals by 65% and 38% respectively. Tiana may be one of our youngest program leaders but has already accomplished so much in her career at Illumina. In 2018, Tiana travelled to the company’s SE Asia offices to endorse and grow Illumina’s global ambassador program, and to learn giving culture nuances at each location. When asked what she’s most proud of, Tiana will tell you about Illumina’s skills-based volunteer program, Genomics 101, where employees visit classrooms around the country to teach students about genomics in a fun, hands-on learning experience. Benevity, Inc., a certified B Corporation, is the global leader in corporate social responsibility and employee engagement software, including online giving, matching, volunteering and community investment. Many of the world’s most iconic brands rely on Benevity’s award-winning cloud solutions to power corporate “Goodness” programs that attract, retain and engage today’s diverse workforce by connecting people to the causes that matter to them. With software that is available in 17 languages, to an employee base of 10 million users around the world, Benevity has processed over 3 billion dollars in donations and 15 million hours of volunteering time this year to almost 150,000 charities worldwide.